Space, is it the final frontier? 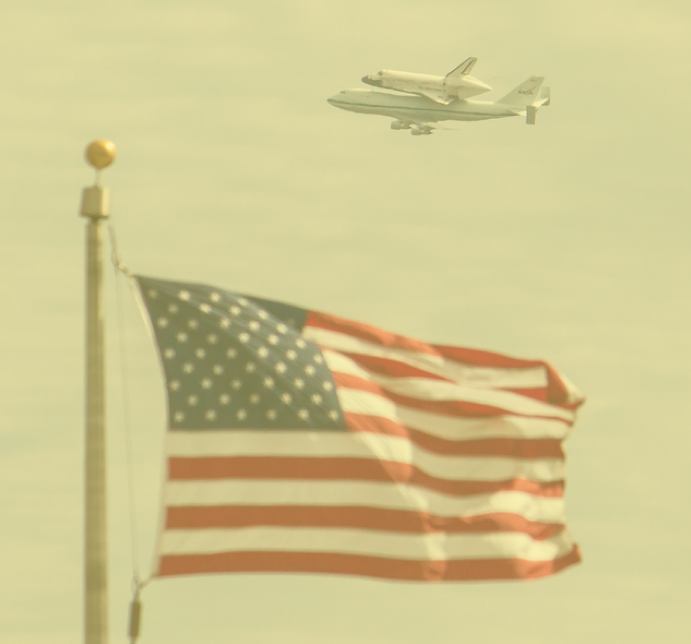 If so then we may have a problem Houston…The Space Shuttle took it’s final flight today strait into the Smithsonian archives. You have to love NASA’s humor in flying it around DC. Fun and poignant. LOOK UP! There goes our space program! A bunch of good jokes must have some out of that one.